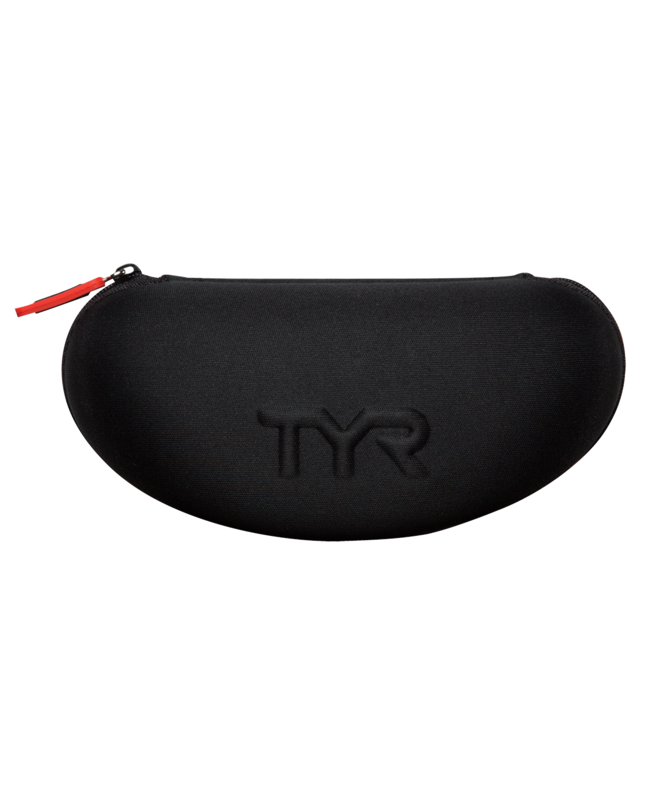 Ensure your goggle’s longevity with the Protective Goggle Case. Constructed with stiff molded foam, the LGPCASE provides superior lens and gasket protection. It is equipped with a secure zipper closure and convenient drainage holes for quick drying. 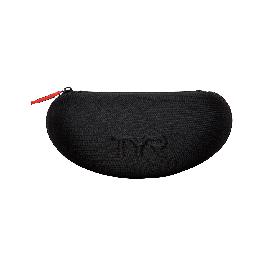 This sleek black case fits most goggles, so you can toss them in your gym bag, locker, car or anywhere else without worrying about damage! Excellent quality. Spacious & very well designed case. I got the goggle case for my Special Ops Custom Goggles, I love em. I've played sports my whole life from A Swim Team to after School Little League Baseball and in School Volleyball. One of the hardest things to do is keep your gear new it just gets worked and I thought it was a smart idea that you guys had something like that for my new goggles to help me from getting the lenses scratched. You know I swim every day in a pool and one thing that I thought maybe it would be neat if you guys had was a swim suit bag, I use a plastic shopping bag to put my suit into when i'm done at the gym and put into my gym bag. It doesn't get my other gear in my bag wet which is what I want but if you guys could have a after swim suit bag that would keep it from getting my other stuff wet in my bag I would buy it. I don't even know if there is such a thing but it seems like it would be a common and good thing, I bought the Pinnacle bag because where I live it rains often and I wanted to protect my gear from the rain but inside the bag it's kinda up to me and I just thought it might be a good idea to toss around for you guys let me know what you think. Thanks. Q: What are the dimensions of the case? A: The Protective Goggle Case measures 7-Inches Long x 3-Inches Wide. Q: What is the material on the inside of the case? Is it waterproof? Q: Can any of your cases be personalized? A: Screenprinters can customize the Protective Goggle Case, however the material is not printer friendly. We would recommend talking to your printer directly to make sure they are comfortable with printing/working with. 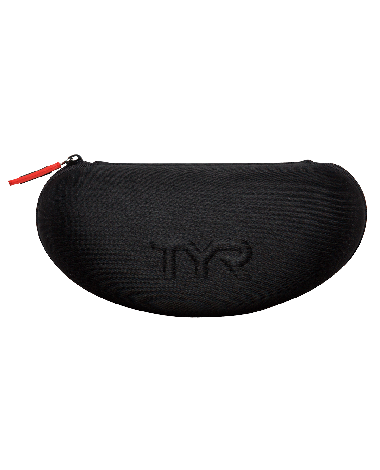 Ensure your goggle's longevity with the Protective Goggle Case. Constructed with stiff molded foam, this protective case provides superior lens and gasket protection. It is equipped with a secure zipper closure and convenient drainage holes for quick drying.